Chinese LiDAR company RoboSense announced that it has provided a cold-resistant LiDAR for GACHA, the world's first autonomous driving shuttle bus for all weather conditions which was reported by LEDinside last year. GACHA is equipped with RoboSense's advanced cold-resistant 16-beam mechanical LiDAR environment perception system to operate vehicles in harsh winter and other severe weather conditions. 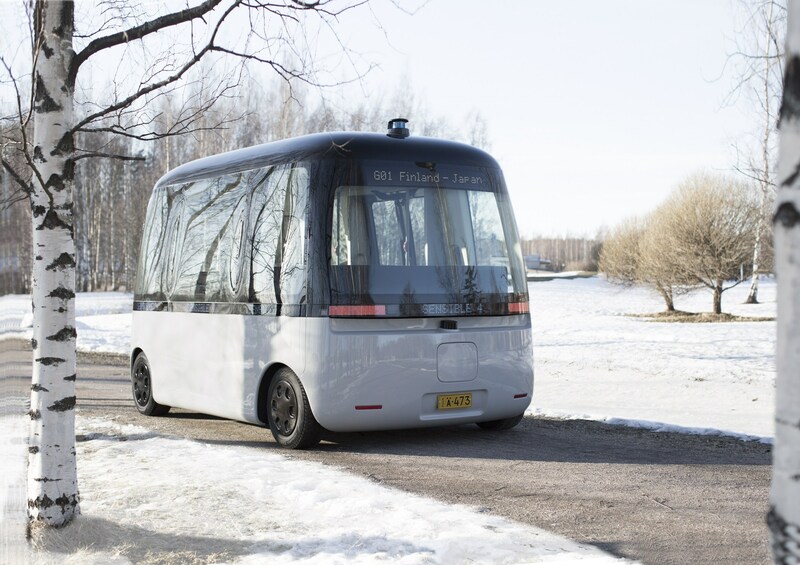 The autonomous shuttle bus was co-designed by Sensible 4, a Finnish autonomous driving company, and MUJI, the Japanese retail brand. Sensible 4 provided software for positioning, navigation, and obstacle detection and MUJI offer its expertise in design and user experience. Under extreme weather conditions, the performance of critical sensors, such as LiDARs and cameras, are severely impacted. During the winter time in Finland, the temperature reach down to -30°C (-22°F) and it may incapacitate semiconductor components. Meanwhile, snowy and icy roads might also cripple the ability of image algorithms. Facing the challenge of extreme weather condition, RoboSense's new cold-resistant LiDAR is essential since it "sees" a 3D world through emitting and receiving lasers pulses, with point cloud algorithms that accurately recognize obstacles, even on showy days. RoboSense will join Sensible 4 on their first GACHA bus fleet public road deployment in April, as well as future projects in Finland and other countries.